At the 68th World Health Assembly, resolution 66.22 requested the Director-General to convene an open-ended meeting of Member States prior to the 69th World Health Assembly, in order to assess progress and continue discussions of the Consultative Expert Working Group (CEWG) on the remaining issues in relation to monitoring, coordination and financing for health research and development. The three-day meeting takes place from 2nd to 4th May 2016 at WHO Headquarters. We are disappointed with the typology produced by Policy Cures for the purposes of the CEWG. It seeks to rewrite the carefully developed and hard fought consensus that Member States have crafted over years of work. Unaffordable prices for drugs, diagnostics and vaccines, including for Type I diseases are a market failure. We see the impacts of that market failure every day in the countries where we work where patients cannot get access to the drugs they need, or where we are unable to administer vaccines in emergencies because of high prices charged by multinational drug companies. Consider right now that one of the most successful drugs, in terms of revenue, imatinib, continues to be unaffordable for many due to monopoly based high prices. It should also not be lost on us the extent to which public funding in the United States paid for most of the R&D for imatinib. And affordability is not the only problem for Type I disease, though it is enough to take action. Every day MSF has major challenges with the presentation of existing products for use in the countries where we work, such as the thermo-stability profile of products. There is often a clear lack of appropriate formulations for specific populations in developing countries, including for children and pregnant women. The assertion that for Type I products the only needs are implementation science and health systems and delivery research can only draw a response of incredulity. Consider that even in the United States today the number of patients that need new treatments for Hepatitis C which are unaffordable and which have been the subject of multiple Congressional hearings over the last two years. This week, MSF released a new report which not only details how the RD system is failing patients in developing countries because medical tools continue to be unaffordable, unsuitable and simply do not exist, but also makes the broader point of how the current R&D system is failing patients in all countries. At its core, fragmenting R&D between Type I, Type II and Type III, and between developing and developed countries, and saying that the system works in some cases and fails in others, misses the point. 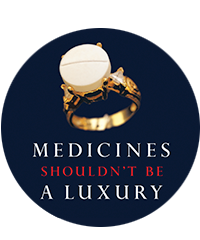 It is a way of thinking about biomedical R&D that is antiquated, especially when one considers the approach taken by the UN Secretary General on Access to Medicines. The system as a whole is not working, and it is especially not working given the investments governments make – both up front through R&D spending of up to one third of all R&D, and through prices paid with a global pharmaceutical market of 1 trillion USD. We hope that WHO does not outsource the important work of analysing and recommending the steps that government should take to private organisations in the future.